Even though we know we shouldn't, we sometimes get donuts on Saturdays. 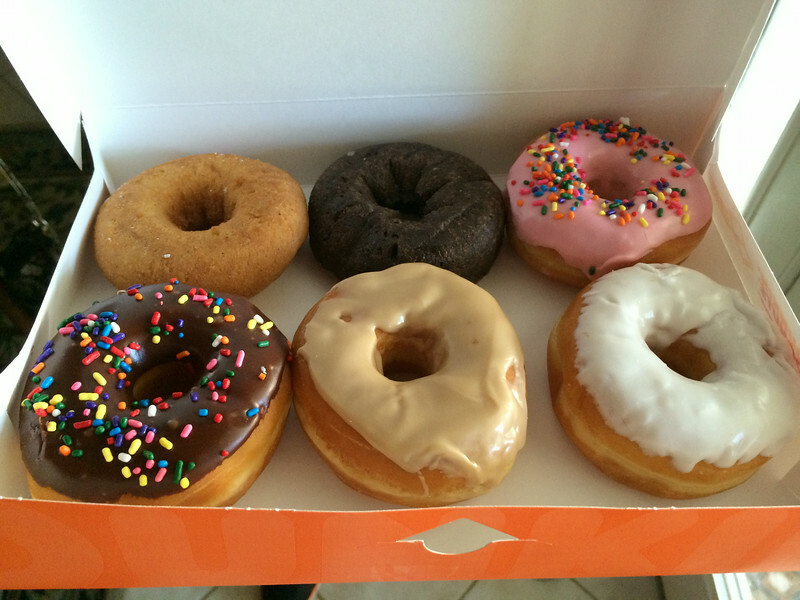 Because Saturdays and donuts go together nicely. We usually get Shipley's because, well, it's Shipley's and they're the best. 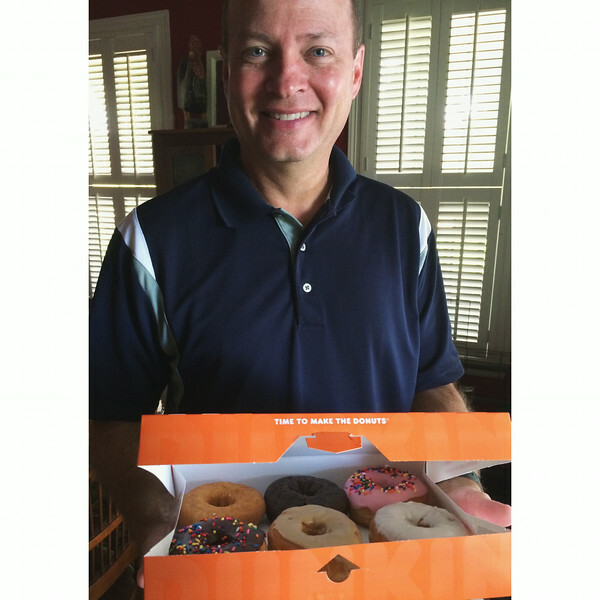 However, this time we threw caution to the wind and Scott picked up Dunkin Donuts instead. Can you guess which ones were for me? I'm boring and always like the old fashioned chocolate or sour cream glazed (but this time got a plain cake), Scott and Annelise always get iced donuts. Not that you care, but at Shipley's I always get plain glazed. Now you know. Ever since I saw Meg Duerksen's awesome owls earlier this summer I've been itching to make them too, but of course carried that itch no further. Until this weekend. 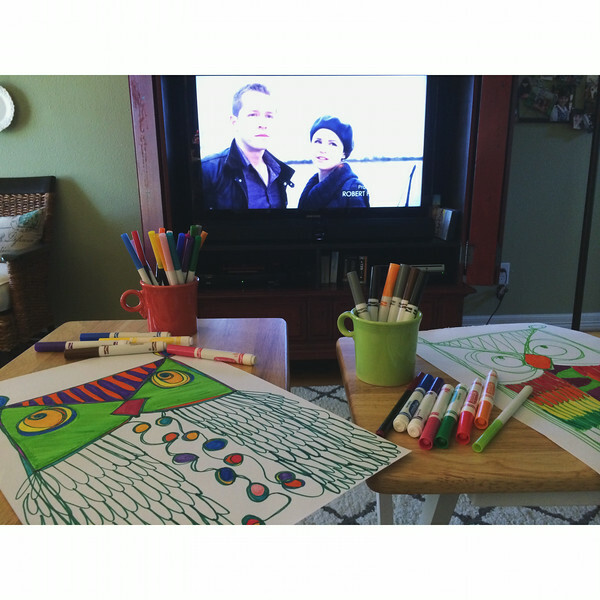 And of course coloring is more fun against a background of Once Upon a Time. Sidenote: I used to watch Once Upon a Time but quit for some reason in season two. Annelise and I started binge watching on Netflix during the summer. We love all the characters and twists and turns and the whole good vs. evil, can people change themes. Mine's on the left. They were really fun to do, although it was hard to convince Annelise to give it a whirl, I guess because you have to draw the owl first using a continuous line, which is a bit of a challenge if you're a perfectionist. Scott made one too! We now have a little family of crazy owls hanging in our hallway. We had a back to school potluck lunch after church yesterday and since it had been a while since we'd stayed for one, we decided to go. I always seem to make the same things for potlucks, a few years ago it was sloppy joes (easy) but the past sweet forever it's been taco soup (also easy) (I have a pattern). I also always make a lemon bundt cake because to me that's the epitome of a potluck dessert. That and the fact lemon bundt cakes remind me of my grandmother. As we got into the car afterwards I commented to Scott that I really don't know why we go to these things because we pretty much just ate our own food. I did sample a few other things but sadly there was an abundance of beige food and the salads and green vegetables (if there were any to begin with) were almost gone by the time I went through the lines. Speaking of Crock Pots, which I realize we weren't, but I assumed you read my mind that my potluck taco soup was made in one, I'm making an effort to use mine more. There's just something so satisfying knowing dinner is already cooking before I even have my morning coffee. 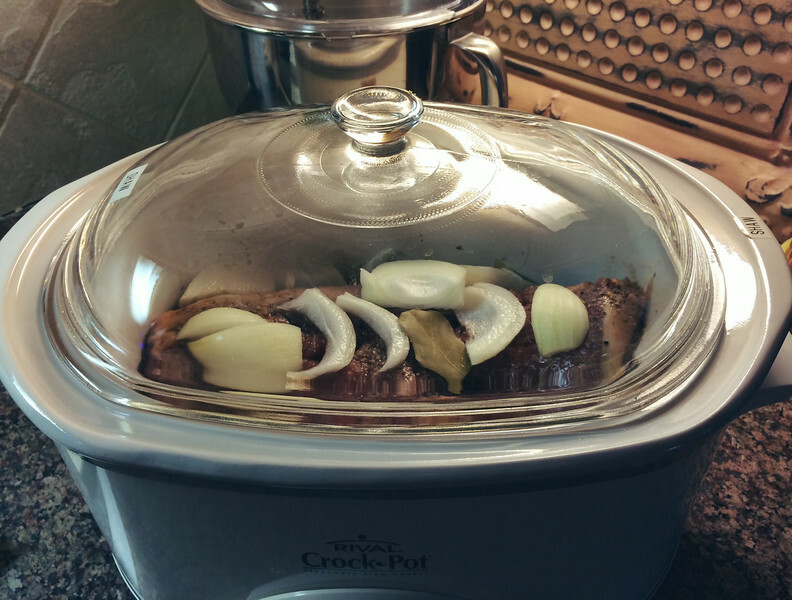 Nothing fancy, just a pork roast, but I love that my trusty Crock Pot is working for me while I type this blog post. Thank you so much Penny, glad you like it! Lemon bundt cake sounds good! I've never made one but just may have to now!